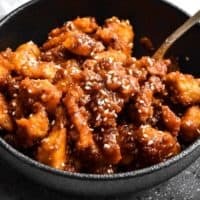 Honey Sesame Chicken is a must make easy chicken recipe. Crispy. Check. Spicy. Check. Sweet. Check. Easy. Check. Delicious. DOUBLE CHECK. 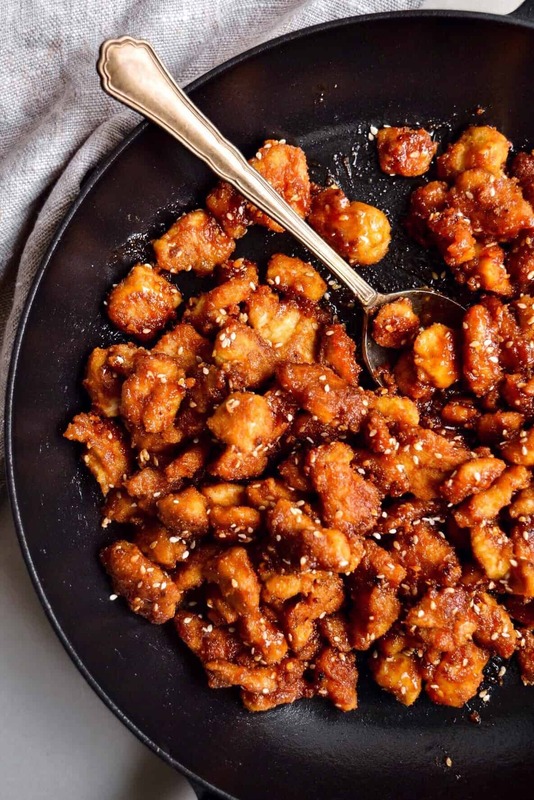 This honey sesame chicken recipe has it all! The best part? 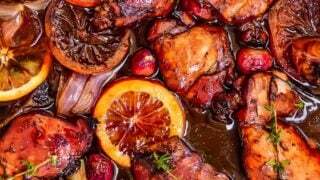 It’s so much healthier that your usual honey glazed sesame chicken recipes. 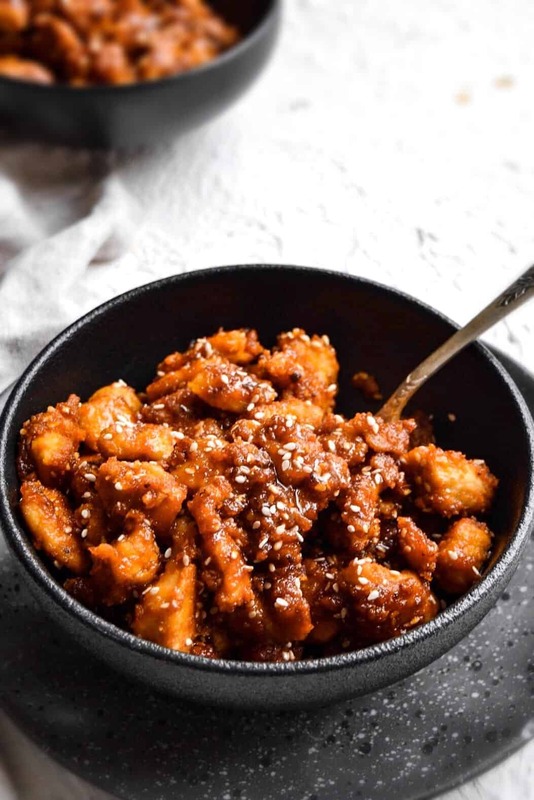 Just because this Honey Sesame Chicken Recipe is a bit healthier than the traditional kind doesn’t mean it isn’t just as delicious. Few things can top a sweet n spicy, sticky n tender chicken. 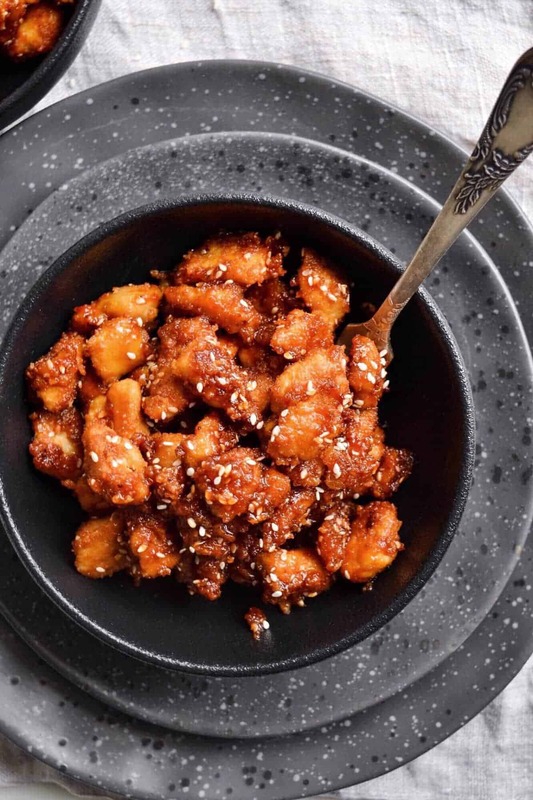 These chicken bites have a delicious crispiness that every honey glazed sesame chicken recipe should have. 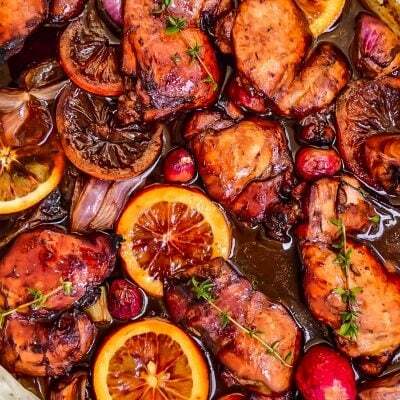 Consider yourself warned though, because this honey chicken is highly, HIGHLY addictive. You’ll find yourself craving it day and night. 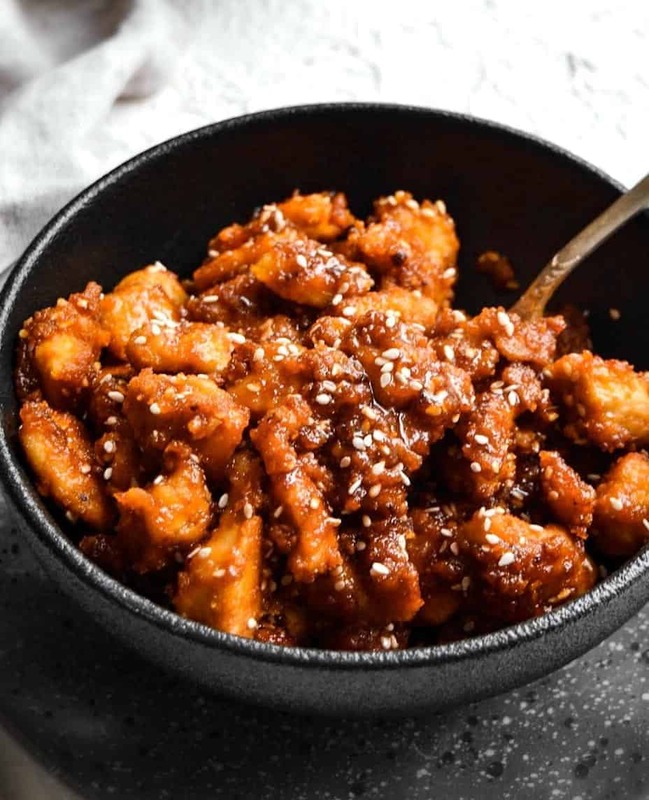 Are you guilty of usually enjoying honey sesame chicken dishes only as a takeout or at restaurants? Well let me tell you, this healthier honey glazed sesame chicken recipe is SO much better than takeout. It’s the perfect dinner for company or a cozy night in. Because not a lot of things are as cozy as these crispy sweet n spicy bites of heaven! Each bite doesn’t only taste good, but it FEELS good. There’s something extremely satisfying in having your dinner feel like a cheat meal, but knowing that it really isn’t. Instead, this honey glazed sesame chicken is as nutritious as it is delicious! Win win! Every great easy chicken recipe needs an equally great side dish! 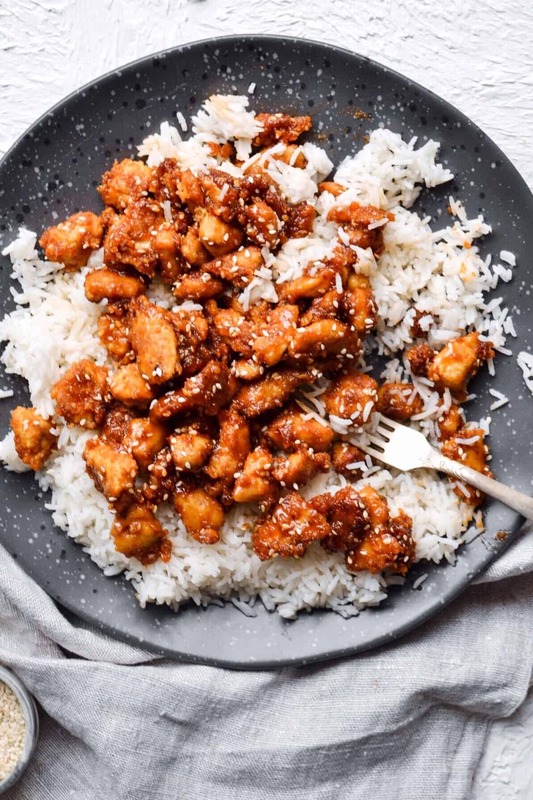 You can def keep things simple and serve this Easy Sesame Chicken with rice or roasted vegetables, but here are some other favorites we have been craving! 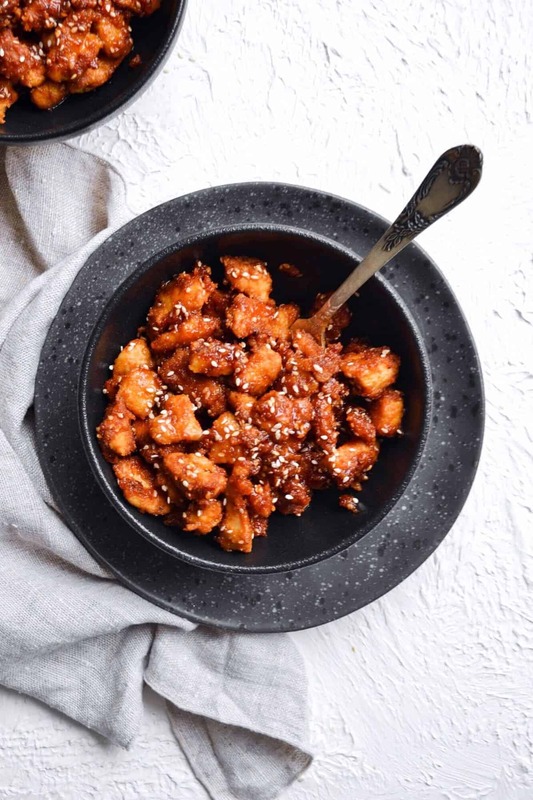 These Easy Side Dishes are perfect for this Honey Sesame Chicken Recipe! 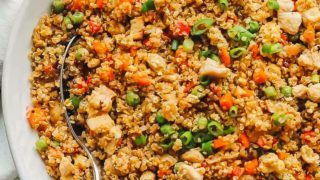 Quinoa Fried Rice is a healthy version of the take-out favorite and an easy one pan dish that’s perfect for those busy weeknights. 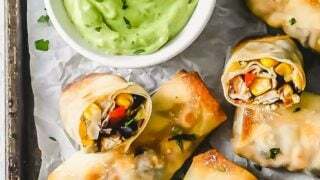 Baked Southwest Chicken Egg Rolls are packed with seasoned chicken and veggies, then baked until crispy and golden brown. Southwest Egg Rolls are served with an avocado dipping sauce, which is easy and perfect! 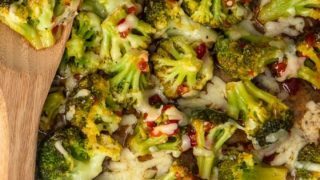 This Spicy Cheesy Broccoli Recipe is the perfect easy side dish for those busy nights. When you’re rushing around and on the go, you still need to eat your vegetables and create a balanced meal! 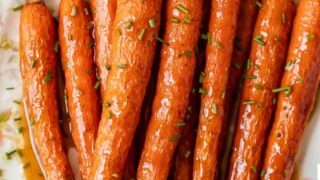 Honey Glazed Carrots with Ginger are sweet, aromatic, and absolutely tasty. This easy carrot side dish goes well with chicken, pork, or any holiday meal. For the batter, the egg and soy sauce will work their magic in tenderizing the chicken. While the coconut flour is the healthier twist that will give the chicken the crispy golden crust that is a game-changer in this dish! The honey glaze is the perfect combination of sweet n spicy. Once you begin to cook it the initially thin mixture will become sticky and will thicken in consistency. That’s how you’ll know that your sauce is ready! 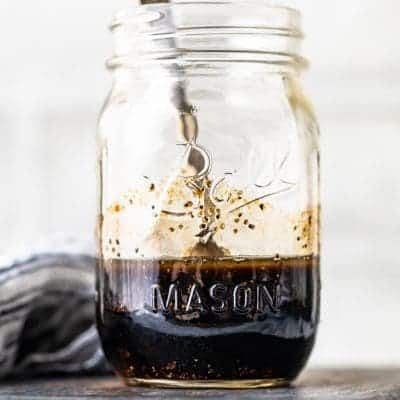 After you’ve fried all the chicken bites once, you will begin making your sauce. That should take about 10 minutes. During this time you will give the chicken bites a second 10-minute round of frying in a little sesame oil to get that delicious and fragrant sesame flavor. The second round of frying will also ensure that your chicken is super crispy. On top of that, you’ll add in a generous amount of sesame seeds. This way you’ll get that extra bit of crunch on the outside, while still maintaining the juicy tenderness on the inside. 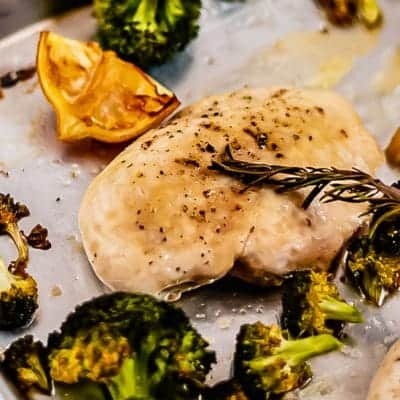 The best way to make this dish is by cutting the chicken breast into small, bite size pieces. However, if you want to reduce the frying time, cut your chicken into larger pieces. When frying the chicken make sure that you space them out on the pan and that they’re not touching one another. To do this you will need to fry the chicken in batches. I prefer my honey glazed sesame chicken plain with some rice, but by all mean add some chives on top if you like. 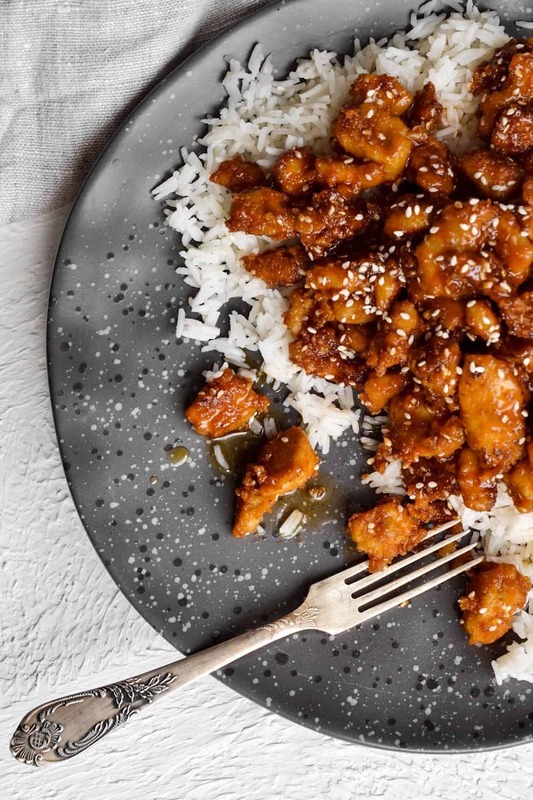 This healthier version of honey glazed sesame chicken is best served over a hot bowl of steamed basmati rice. These are, hands down, one of the BEST honey glazed sesame chicken bites ever. Don’t believe me? Try them for yourself and you’ll see! 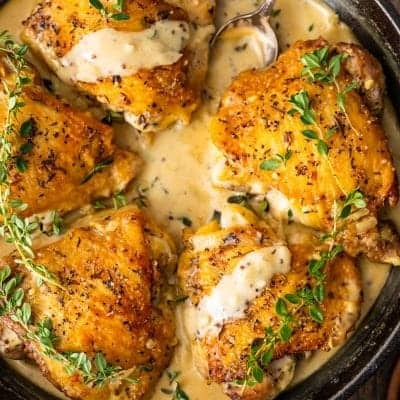 More Easy Chicken Recipes to try! 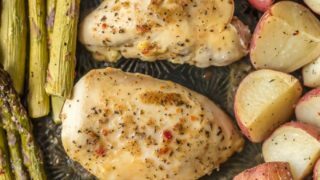 Hungry for more Easy Chicken Recipes? We've got you covered! Sweet and Sour Chicken is a typical dish you’ll find at Chinese-American restaurants. 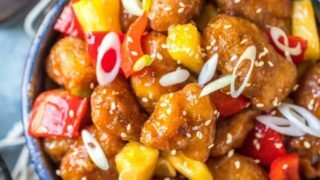 I love the crispy, tangy flavor of this sweet and sour chicken recipe! 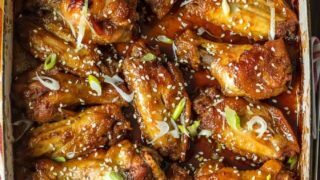 These SESAME BAKED WINGS are my go-to sticky wings recipe for game day. A little bit spicy and a little bit sweet, they’re loved by all. 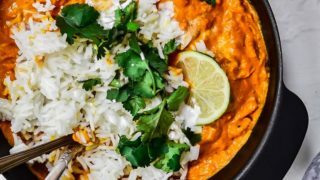 Chicken tikka masala is one of the most popular Indian dishes, and for good reason. How can anyone not love this explosion of spices, paired with the creamy texture of the sauce that the dish traditionally has. 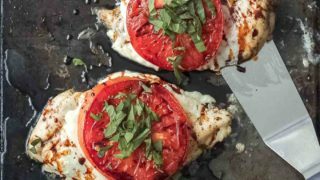 Sheet Pan Chicken Caprese (Easy Caprese Chicken!) 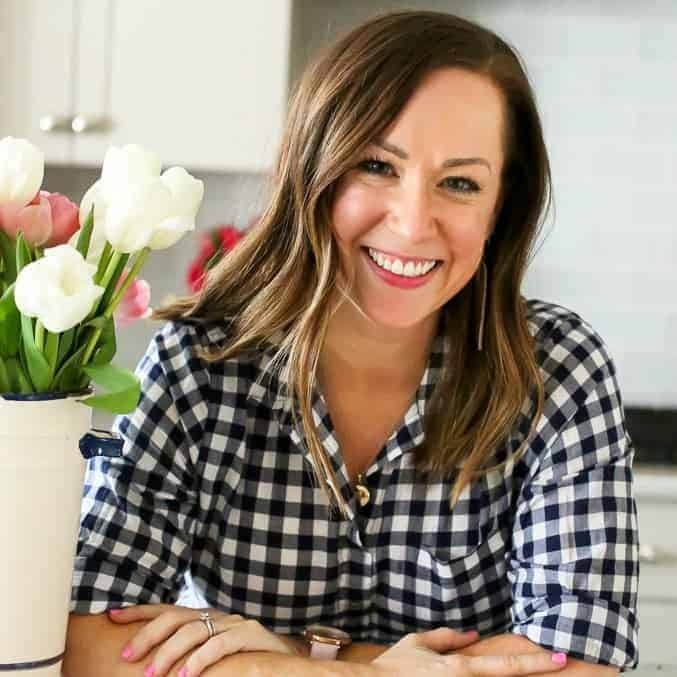 Becky Hardin February 25, 2019 Jump to Recipe This Sheet Pan Chicken Caprese recipe is quick, easy, and even a little bit fancy. Easy Caprese Chicken is the perfect easy chicken recipe for busy weeknights! Honey Garlic Chicken and Veggies is the ultimate ONE PAN CHICKEN weeknight meal. It’s an easy go-to when you need something delicious and simple. Use tongs to slowly place the chicken in the frying pan. Fry for 4 minutes on each side on medium-high heat or until golden brown. Once fried on each side, place each piece on a cooling rack or kitchen paper. You will have to do this a few times depending on how small your chicken bites are. Make sure that the chicken pieces are not touching one another when frying. After you’ve removed your last batch from the pan, add the sesame oil to the remaining coconut oil. Add all the chicken bites together to fry for 10 minutes on medium heat while you make the honey glaze. Stir often. In a small saucepan add the honey, tomato sauce, ginger, garlic, chilli, apple cider vinegar, lemon juice, salt and coconut flour. Mix everything well until all lumps are removed. Bring to a simmer, then add water. Cook for 8 minutes on medium high heat until the sauce has slightly thickened. Pour it over the chicken, add the sesame seeds, mix well and enjoy! Becky, your recipe says to add Sesame Oil to the remaining Coconut Oil in the pan to perform the second fry (step 5), but I don’t see any Sesame Oil called out in the Ingredients list so I have no idea how much to add. Sesame Oil is one strong tasting ingredient so I don’t want to guess. Maybe I just don’t see it. Seems like an important element to Honey Sesame Chicken. Let us know please. Would like to give the recipe a try. Thanks Ps-sorry for the “no” stars. SO sorry about that, my mistake! It’s 3 tablespoons. Hope you love the recipe! You referenced almond flour in your tutorial but the recipe says coconut flour. Which should I use? I’ve never purchased either type. Also, the 1/4 tsp chili — is it chili powder or a different form of chili? Hi! I’m only seeing coconut flour listed, but my eyes might be playing tricks on me. And yes that’s chili powder. You can also use regular flour if you prefer! So flavorful and delicious! I love how easy this is to throw together! mmm..these look and sound SO GOOD!! YUM!! This has always been one of my favorite meals and I love that now I can make it just as good at home! You’re so right, the sauce on this chicken was incredible! Such a great recipe!